One of my favourite stories growing up was Cinderella – not the Disney one, but the beautifully worded and sumptuously illustrated Ladybird Fairytale, with the three royal balls, satin slippers, and sisters that were beautiful but so bad tempered that they appeared ugly. I read and reread that story so many times, mainly coveting the three increasingly beautiful ball gowns, but the subliminal message was clear: be good and kind and good things will happen to you. Be greedy and mean and you will get nothing but bitterness. This is a good message that we all try to teach our children, and we try to reinforce it as we bring them up: from the beginning we teach the difference between right and wrong with praise and reprimand, reward and punishment. But what happens when they grow up and see that others around them sometimes do the wrong thing and get away with it? Or when they do the right thing and lose out? I first started thinking about this when we went to a local Easter Egg Hunt. It shouldn’t really be called a “hunt”, more of a “scramble” (ha, ha!) as the eggs are just scattered in full view on a flat field and someone shouts “Go!”, opens the flood gates and the children run all together to grab some for their Easter basket. All the children are told at the beginning that the maximum they can collect is four, so that there are enough to go around. But of course many children completely ignore this rule and I could see them with overflowing baskets filled with at least twenty eggs. My two have had fairness so drilled into them that they obligingly picked up their allotted four and moved off. But they noticed that other children had ignored the rule, and not only had they not got into trouble, they were actually benefitting from disobeying as they had far more chocolate than those children who were being good. It’s essentially the equivalent of the ugly sister successfully forcing her foot into the slipper and the prince giving her a full-on kiss on the mouth. Of course, as a parent, if you notice this injustice you can counteract it to a certain extent, by providing an extra treat for having been good. But you can’t take away the fact that those other children have still ended up being rewarded for their bad behaviour, and will probably continue to do so as their parents clearly don’t see a problem with it! So how do I teach this reality to my children, when it is so different from the message they are getting at home, or from the poetic justice they read about in their stories? How do I make sure that they continue to choose to do the right thing, when they see themselves lose out because of it? Partly, I can explain that although those children have the immediate reward of more chocolate, there are less tangible, indirect disadvantages to their behaviour. In the long-run their greediness will mean they will have trouble maintaining friendships as people won’t enjoy being around them. But this is another way of teaching that in the end justice will be served, and this isn’t always the case. I know from my own experience at school that those children who are pushy and unpleasant never seem to be short of like-minded friends. I can’t really judge the quality of their friendship, but I think once you are getting into those technicalities, the message of justice you are trying to teach your children has got a little lost. So there needs to be a more robust answer that I give my children when I am encouraging them to do something that, although right, means they end up with less than those who are doing wrong. I think the only way to do it is to be honest: life is unfair at times, others will get away with being naughty, but external reward is not why we try to do the right thing in the first place. We do the right thing because it is the right thing. But how do you make a child understand the value of this? I always try to explain why something is right, and mainly it involves telling them to put themselves in someone else’s shoes. “Think of the children who ended up without any eggs because of those other children’s greediness. How would you feel if it were you?” Their stock response to my “How would you feel?” question (I do it a lot!) is always “Sad.” They obviously get the gist, but I do try to increase the vocabulary so they understand the different emotions involved: disappointed, frustrated, angry, upset, hurt… Children usually start out very self-centred – you have to teach empathy. But I believe that once you open their eyes in a consistent way to other people’s feelings, it’s a form of enlightenment that stays with them for life. I would like to believe that those greedy children will eventually learn empathy (and some manners!) but the reality is that many of them probably won’t, and may never even realise there is value in behaving differently. They will never know the happiness that comes from making someone else happy. 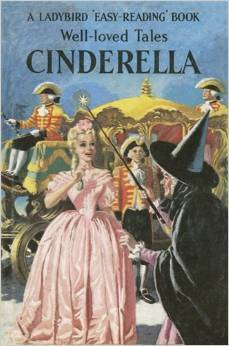 So, if the ugly sister gets the prince – do you want Cinderella bitter about the injustice? No, we want her happy that she didn’t marry a capricious prince, and bold enough to leave her tyrant sisters in order to do some charitable work for people who deserve it. Justice needn’t always be poetic, just personal. This entry was posted in Perplexed Parenting, Uncategorized and tagged child behavior, child behaviour, Cinderella, fairness, injustice, parenting, parents, raising children, Raising Kids, unfairness on June 15, 2015 by perplexedparent.